The Japanese government has extended a loan facility worth $202.3 million to Uganda to enable it complete three social infrastructural projects. 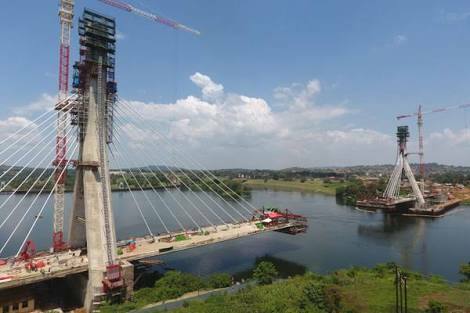 The projects are improving power supply in Kampala Metropolitan area (Shs474b), completing the New Nile Bridge (Shs170billion), and construction of regional referral hospitals in northern Uganda (Shs99 billion). Speaking at the signing ceremony in Kampala yesterday, The Japanese ambassador to Uganda, Mr Kazuaki Kameda, said his government is committed to infrastructure development, improvement of living conditions for the common people through health, sanitation and education and social security in northern Uganda. “All the three projects that we signed for today are in line with our governments agenda. 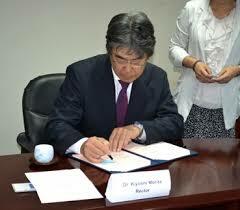 We look forward to a continued relationship with the government of Uganda,” Mr Kazuaki said. Finance minister Matia Kasaija said the loan will go a long way in helping Uganda in achieving its social economic and development goals as it moves towards achieving a middle class income status by 2040. Energy minister Irene Muloni said improvement of transmission and distribution capacity in greater Kampala will go a long way in improving power accessibility and reliability hence making the President’s dream of industrialisation a reality. The loan to the Kampala Metropolitan Transmission System Improvement Project aims to stabilize and improve the reliability of the power supply in the Greater Kampala Metropolitan Area by constructing two new 220 kilovolt substations, upgrade three existing 132 kilovolt substations, and strengthen the urban electricity transmission grid and provide a mobile substation for emergency response. 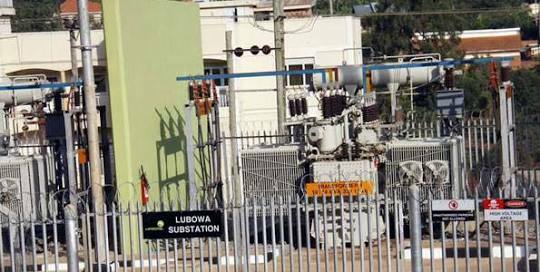 Although the Greater Kampala Metropolitan Area has a population of approximately 3.5 million people and a substantial demand for power, the power transmission and distribution capacity is still insufficient resulting in frequent unexpected power outages due to power overloads. Part of the funds will go towards ensuring power supply to greater Kampala area. The loan will help in constructing facilities and providing medical equipment to three regional referral hospitals; Gulu RRH, Lira RRH and Arua RRH and improve the quality and access to health services in the area. The targeted hospitals located in the region were constructed in the 1920s and 1930s, thus the facilities have aged significantly and medical equipment required for diagnosis and treatment is lacking. It is expected that the project will, within three years of completion, allow 42,000 more outpatients, 1,700 more births and 2,500 more emergency patients to be handled at the three hospitals combined.